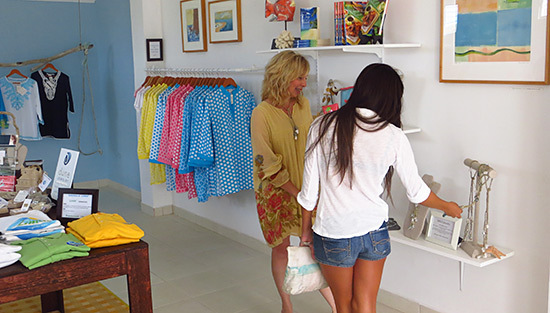 New to the Anguilla shopping scene, Limin' Boutique caught our eye on a recent drive through the island's west end. 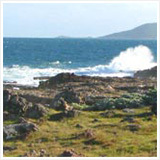 Limin is set on Main Road, just east of the turn-off down to The Cove. 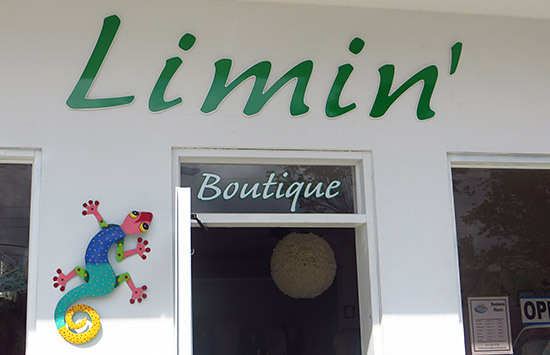 When my Dad and I spotted the colorful sign, "Limin' Boutique," we simply had to go in and check it out! 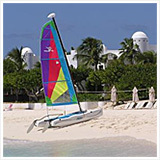 "We're always down for a "lime," (as they say here in Anguilla)." Through the door and we were greeted oh-so-warmly by Ken and Renee Reinl. 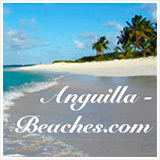 They started visiting Anguilla in the 90's, having made dozens and dozens of trips over the decades. 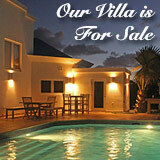 It had always been their dream to re-locate to Anguilla and run a small business. In mid-2013, they took the plunge, selling everything they owned in Philadelphia! 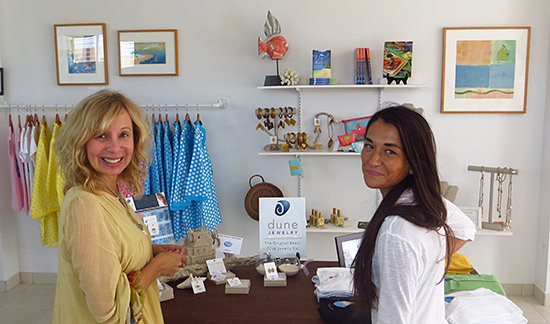 2014 finds them living their dream, living in Anguilla and running their passionate vision of the perfect "beachy boutique." We all tend to love "leave the rat race" stories. Sweet as can be, Ken and Renee have hearts of gold. They're here, which means that no longer count the days until they have to "go back." Painted white and blue on the inside, driftwood adorns the walls, pretty decor hangs from the ceiling and gentle Caribbean music plays. Renee pointed out a large piece of driftwood displaying their tunics, "We found this on a beach walk. 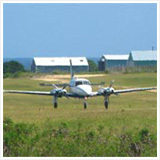 Now, heading to the beach is a business trip," she laughed. 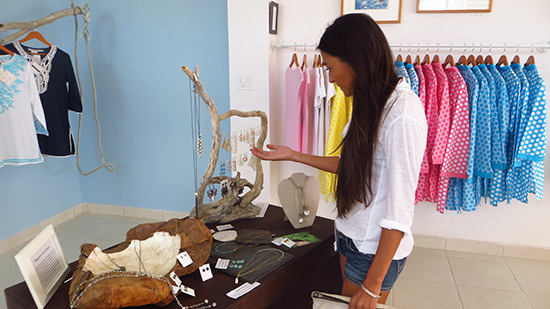 She explained that the concept behind Limin' was to create a shop with a beachy vibe. It's slightly modeled after shops you find up in Nantucket and other beach communities in the northeast. 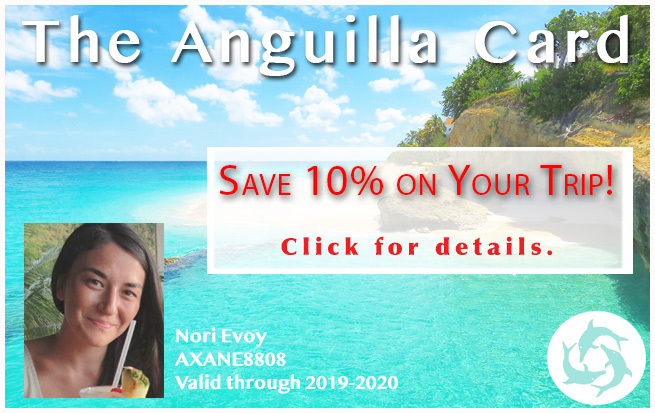 It has a distinctly fresh feel with items similar to that which you may find in coastal towns in the States, and also plenty of original creations made in Anguilla and in the Caribbean. Ken and Renee have spent hours pouring over potential merchandise, looking for just the right ones to stock. 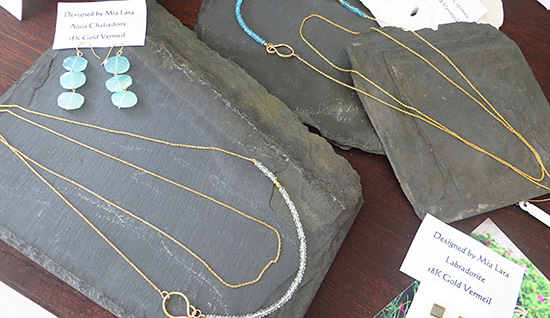 From stylish jewelry that's well-made and affordable, to beachware and other souvenirs, there is lots of variety, with plenty more products on their way. 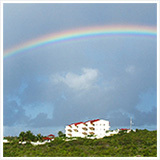 My favorite pieces were those that are made here in Anguilla and those inspired by Anguilla's beauty. Jewelry-wise they have a wide selection of stylish options. From gold crocheted earrings hand-crafted in New York (which I have never seen before! 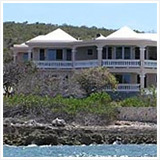 ), to those created by artisans around the world, all have a beachy-chic vibe. I love the hue of blue in the earrings above. The color reminds me of the sea and the shape and texture is reminiscent of one of the most beautiful treasures you can find in the ocean, sea glass. 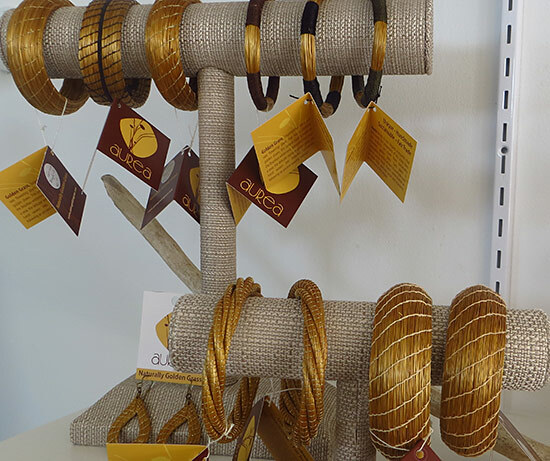 The bracelets below are woven strands of golden grass. Light in weight but bold as a fashion accessory. 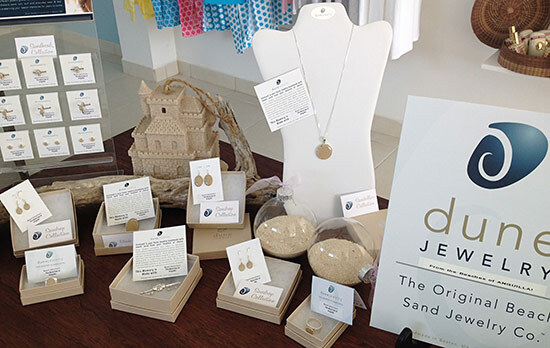 Collected here in Anguilla, the sand is showcased in earrings, bracelets, necklaces and rings. A terrific souvenir, and so stylish. These fly off the shelves when they get them in! Another cool brand is MELA Jewelry, which comes all the way from Italy (see photo to the right). 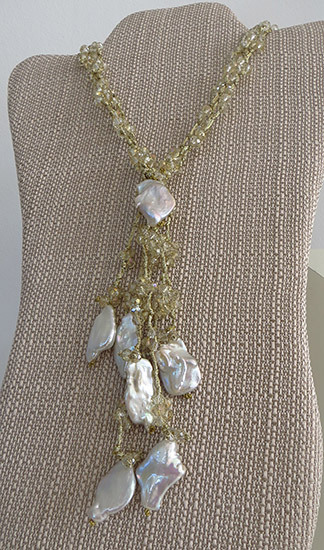 Pretty stones and pearls are woven into linen silk. I haven't seen this anywhere else! 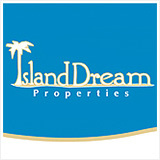 They are also the only one on the island carrying the brand. What would a beachy-shop be without beachwear? 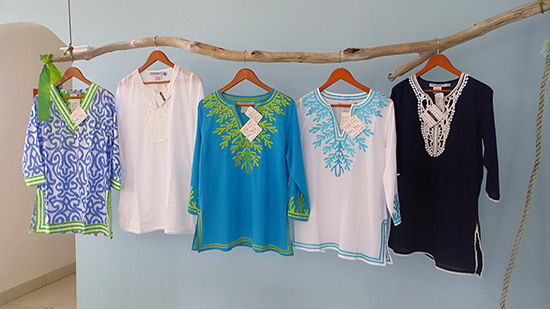 Limin' has plenty of colorful, easy, breezy tunics. 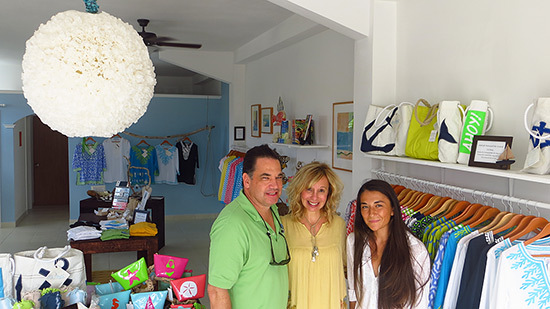 They carry Gretchen Scott Designs and labels out of St. Barths. 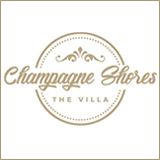 Perfect for slipping over a bathing suit, they are comfortable and contemporary in style. When it comes to accessories, Limin' is in no short supply of cool beach bags, either. They carry interesting "sail bags," made from actual sails of sailing boats. A charming touch? On the back there is space to log all of the places you've drifted into! After a day at the beach, there's nothing like a cool shower to refresh and wash away the salt. 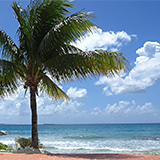 Caribbean Soaps and Sundries is a go-to product. This line of soap is actually made in Anguilla. 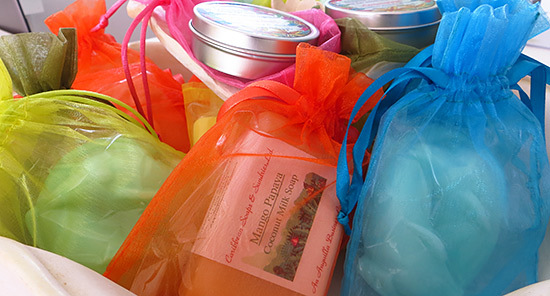 They have plenty of different kinds of soaps, ones even made with goat milk, and candles, even soy candles. All of the ingredients are natural. One of their most popular? Their lotion bar. Made from bees wax, just drop the bar into your palm and rub your hands together. They come in a variety of fragrances. 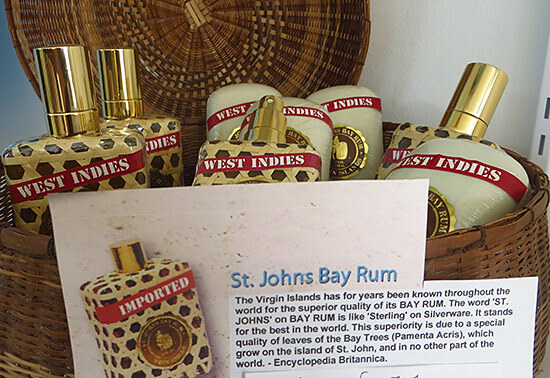 Limin' Boutique also carries St. Johns Bay Rum, a product imported from the USVI, with scents reminiscent of the Caribbean. It is made from all natural ingredients. The bottle itself is a work of art! 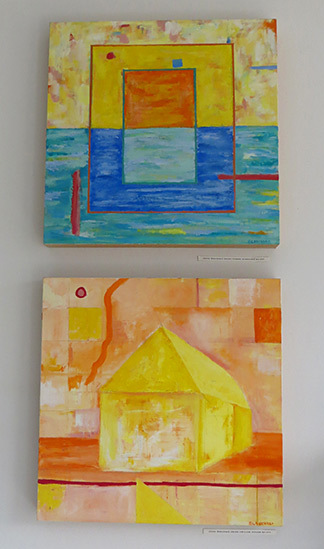 There is plenty more in the shop, including colorful art work from Jesse Blanchard, the son of Melinda and Bob who own Blanchards Restaurant, leather-bound Anguilla journals and Limin' Boutique original products. And, there's lots on the horizon! Directions: If you're coming from the east, Limin' Boutique is located just before the turn off to the Cove, on the opposite side of the street. Hours: Monday-Friday 10am-5pm, Saturday 10am-4pm.